Hi everybody. 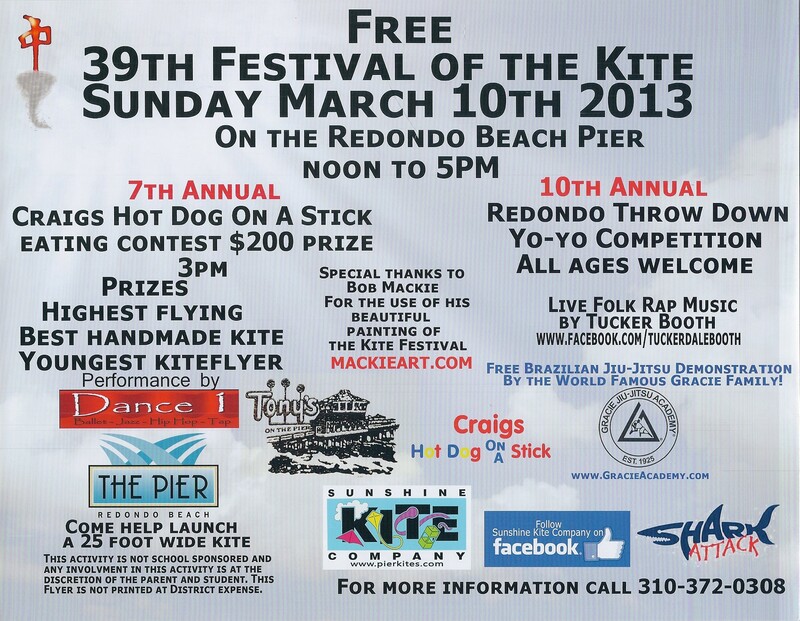 Come join us at the Redondo Beach Pier on March 10th, 2013 for the 39th Annual Festival of the Kite hosted by the Sunshine Kite Company. 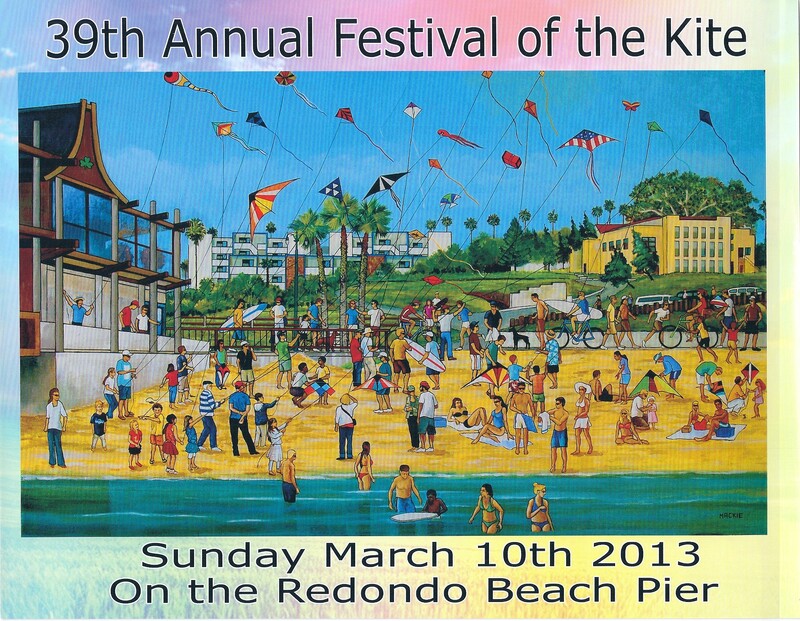 Tom, owner of the Sunshine Kite Company puts on this event every year and does so much to make sure everyone has a great time. The event will start at 12 pm and last until 5 pm. There will be several contests as well as prizes as well as music and a Brazilian Jiu-Jitsu demonstration from none other than the world famous Gracie family! Bring the whole family and have a great time!